Gucci Mane has been showing his new bride Keyshia Ka’oir with gifts including a Rolls Royce Wraith. The Atlanta rapper and his model girlfriend Keyshia Ka’oir, who is Jamaican by the way, got married in a lavish wedding ceremony in Miami on Tuesday night that was aired live on BET. The wedding reportedly cost north of $1.7 million and was fitted for the royal family. The couple received a ton of support from their celebrity friends and from Gucci’s massive fan base. 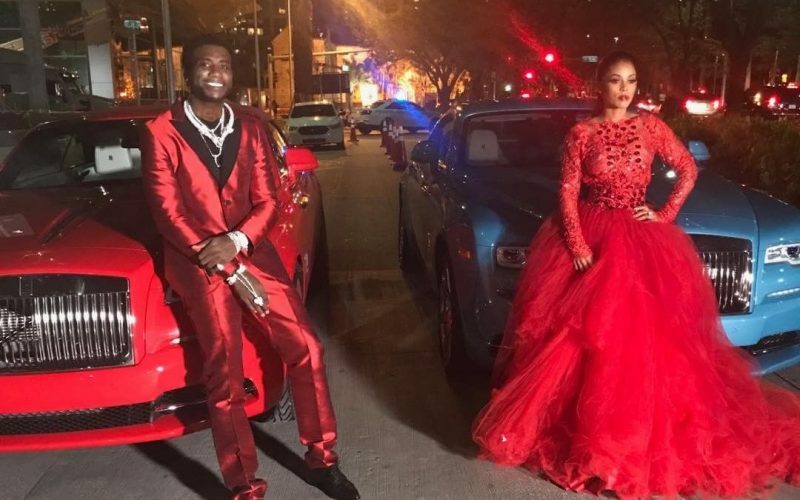 In the days leading up to the wedding, all eyes were on the stunning bride Keyshia Ka’oir who has been getting a lot of praise for helping Gucci Mane to turn his life around. For that loyalty, he gave her the wedding of her dreams and some expensive gifts like a Rolls Royce Wraith that cost $317,000 and some expensive jewelry. Gucci also got himself a matching Wraith and showed off the ultra expensive cars on his Instagram page. A number of celebrities were in attendance at the couple’s wedding including Big Sean, Jhene Aiko, Lil Yachty and his mom, Rick Ross, 2 Chainz, Kim Zolciak-Biermann, Karrueche Tran, and Sean “Diddy” Combs. His and Hers Guwop bought his wife a Wraith!